At Hanburys Licensed Restaurant and Seafood Takeaway. 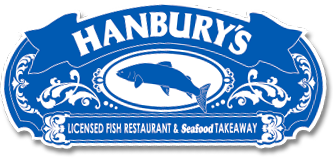 A rare opportunity to work at Hanbury’s Famous Fish and Chips of Babbcombe has arisen. Hanbury’s is a place where you will enjoy working and where your hard work will be well rewarded and appreciated. We have an exciting role available to work in our fabulous restaurant alongside our takeaway. Applicant must have at least 1 years front of house experience (or similar), excellent interpersonal skills alongside proven experience in customer service. Due to the combined post meaning you would be also working in the Takeaway, counter experience would also be desirable. Between 15 hours and 20 hours plus per week. Shifts will be approximately: 10.30am-2.30pm and 5.30pm-9.30pm If In restaurant and 10-2pm and 5-9.30pm In Takeaway. This will be subject to a three month probationary period. After this we would be happy to explore permanent employment for the right candidate. – Pay rates which well exceed the national minimum mage. We have also been paying above the National Living Wage for over 25’s for a long time. – Reviews and support from the owner and your manager. – 30 days (pro rata) holiday entitlement. – Discount system for restaurant and takeaway for off duty staff members. Hanbury’s is an Award Winning Business and has won many awards. There is only one Hanbury’s which is privately owned and special to its customers and employees. So why not send us your CV and apply to be part of something very special.